The problem is marijuana retailers cannot, as Los Angeles cannabis business lawyers can explain, offer a ‘try it before you buy it” sort of deal for marijuana customers. This is largely owing to the fact marijuana business licensees in California, just as in Washington, are required to keep track of their product from seed to sale. By diverting products to be distributed as free samples, they are in violation of the law. However in this case, the pot shop owner said he plans to challenge the citation (which could cost him his license) because No. 1., he insists the marijuana distributed at the shop was sold, not given out, and No. 2, the site where marijuana was being consumed was a separate business, owned by his film production company. He argued these two separate businesses were being treated as one by prosecutors. He is facing a Class C felony charge of operating a marijuana club. 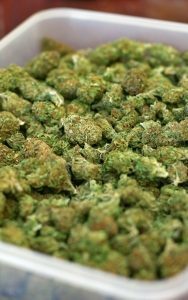 Marijuana dispensaries in Los Angeles, Orange County and surrounding communities have caught heat in the last few months, despite the state legalizing recreational use of the drug, because a significant number don’t have licenses, as reported by The Los Angeles Times. In some cases, individuals are calling the business something entirely to avoid detection. For instance, one man in Costa Mesa reportedly referred to his marijuana dispensary as a church. Although he was visited by code enforcement several times and allowed a walk-through of his facility, undercover agents allegedly purchased marijuana from him on site on several different occasions. They were likely tipped off by the fact it is listed on weedmaps.com, a popular site consumers search to easy find marijuana sales. However it’s important to note police and federal agents can view it there also. Even if you are a fully-licensed manufacturer or dispensary, you will want to check in with your Los Angeles marijuana business attorneys before running any kind of specials, particularly if it involves a give-away of marijuana, to ensure the practice aligns with the rules set forth by the Bureau of Cannabis Control and the California Department of Public Health.